For consumers who want something other than wood or wicker furniture, cast aluminum furniture can be the perfect alternative. Lightweight and easy to clean, cast aluminum pieces blend well into outdoor spaces. Many manufacturers now treat their cast aluminum furniture so they can withstand any weather situation. Cast aluminum pieces often look brand new after many years of use. The Grand Terrace collection, from Gensun Casual, features rich detailing and superb comfort, with seating options in cushion, sling, padded sling, and woven versions. Matching dining, bar, balcony, and chat pieces, along with accessory tables, complete this elegant collection. 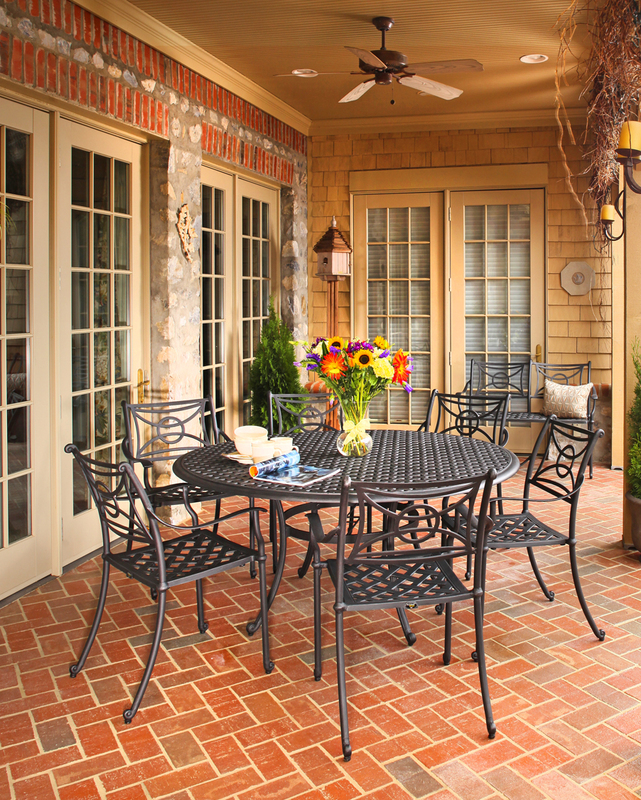 The Grand Terrace collection enhances any outdoor room. Wilshire, from Outdoor Lifestyle, delivers both strength that meets or exceeds ANSI/BIFMA X5.1-2002 requirements and classic style to customers searching for solid value. Offered in armchair, swivel rocker, swivel barstool, stationary barstool (with balcony height stacking up to five high), and loveseat selections, Wilshire complements formal and casual settings. Each piece comes with Outdoor Lifestyle’s 15-year limited warranty on frames and five-year limited warranty on painted finishes in residential use.